I can't believe that a man cleaned our news room even though we have done nothing for him. Let me tell you about him. His name is Ainsley Brough. Mr Brough is the maintenance technician for the Mundaring primary and high school. 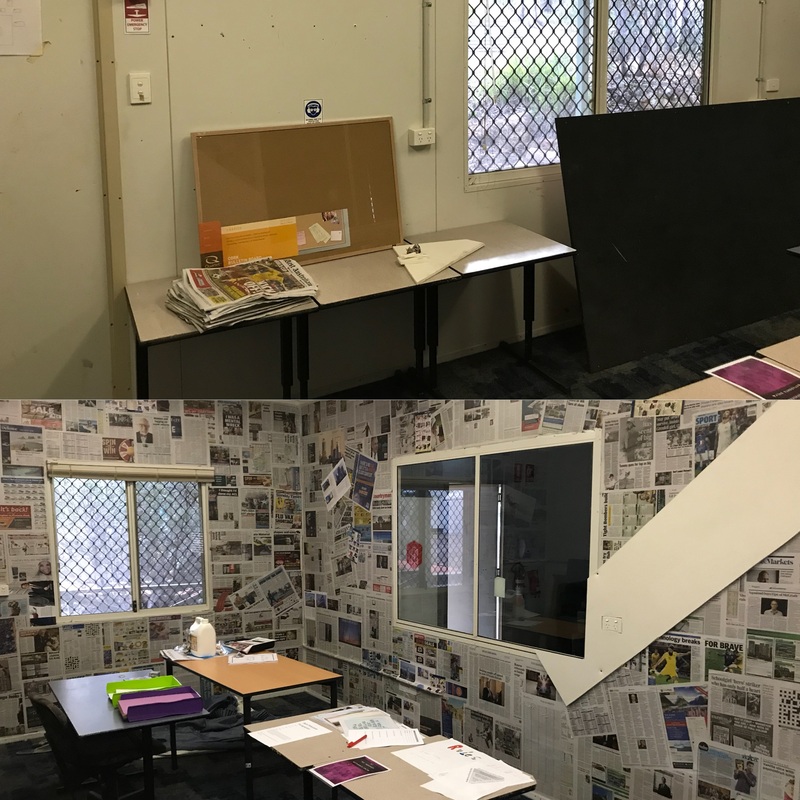 He had so many jobs to do in both campuses, but he took his time to give our news room a makeover in the school holidays and completely changed it. The digital newspaper team has been meeting up in the drama room. On the side of this room is another small room that wasn't being used so this became our news room. Before, it was a literal dump - it was messy and unorganised, and the walls had holes and stains. Ainsley had a great idea of gluing newspapers to the wall, covering the junk up and he put pin up boards on the wall for pinning documents up. The news room is a place where we make stories like this. We are so grateful for this space that he created for us. Please watch the video below, dedicated to Ainsley!